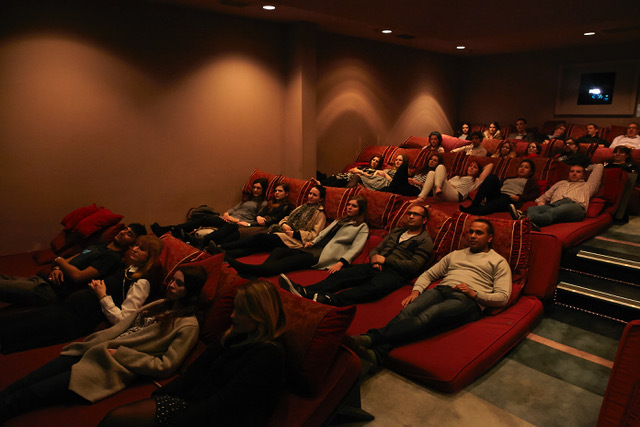 The stadium seating, banging audio, skyscraper screens and bucket-sized popcorn and soft drink of the megaplex is one diversion from Netflix, but in Sydney, you can odyssey into a world of cinema that’s focused on a lot more than Hollywood. As summer edges near, too, your options start to look different. Open-air cinema, the drive-in or eclectic film festivals and events develop a seasonal charm synonymous with warmer nights. 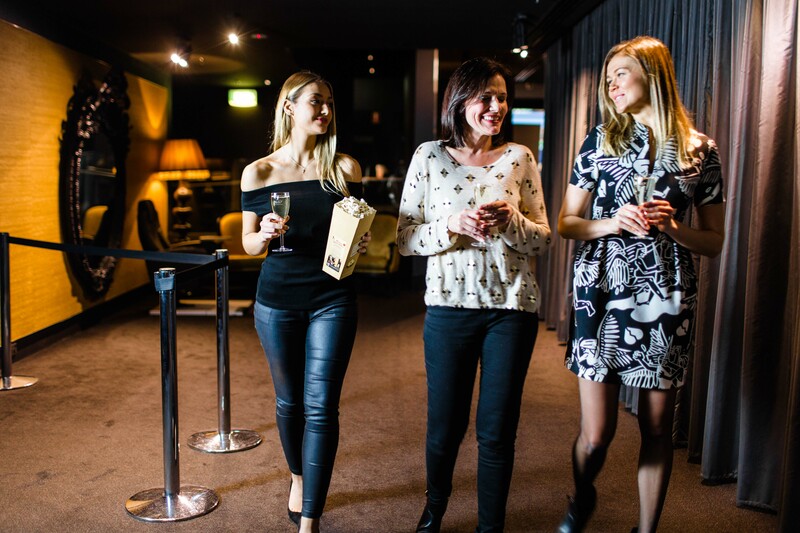 For those who are booked into Song Hotel Sydney, restaurant/cafe Song Kitchen (on the ground floor) is an inviting setting to pair a film experience with dinner and drinks. Here, you can gather with friends or family to exchange film previews/reviews over Mediterranean-inspired bistro meals and a list of wines that are hard to disagree with – even if your opinions about what a good film is aren’t. With its emerald lawns and the summer sky for a roof, Centennial Park’s Belvedere Amphitheatre is a picturesque locale for film fans to enjoy the cult and classic films that screen as part of Moonlight Cinema. Some film fans prefer to make the most of the BYO-friendly event by packing their own picnic but if you’re more partial to exploring the hospitality on offer, Moonlight’s LA-style food truck, candy bar and fully licensed bar sates audiences with moreish bites including cheeseburger sliders, fries and a nifty mix of summery beers, ciders and wines. 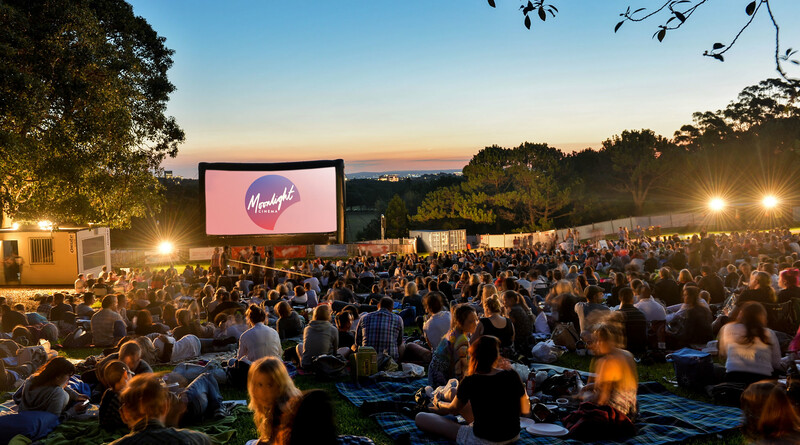 Moonlight Cinema has a tiered seating system and beanbeds for hire but it’s best to book because numbers are finite and reserved seats do sell out. That said, if you’re relaxed about where you sit, settling in on your own blanket and digging into your own picnic in the balmy open-air is a night well had. Independent cinemas might have their work cut out to survive in this era of content surplus but national movie theatre chain Palace Cinemas attracts audiences with its discerning mix of mainstream releases, critically-lauded indies and stage-to-screen productions. Operating three boutique movie theatres in architecturally-interesting buildings around Sydney (two in Paddington and one in Leichhardt), Palace’s curated programs, Q&A events and film festivals match perfectly with the premium cheese platters, wines and coffee you’ll find flowing as you enjoy the ambience. Sydney is also scheduled for a new 14-screen Palace Cinema multiplex at Central Park Mall later this year. Govinda’s Restaurant and Cinema is peerless in Sydney. Foremost, it’s an earthy inner-city restaurant that plays host to a vegetarian Indian buffet steaming with signatures such as Indian dahl soup, vegetable curry and cauliflower pakoras. Beyond the cosy dining that happens around that aromatic centrepiece however, Govinda has an ace up its sleeve (if it ever needed one), in the shape of the boutique cinema upstairs. Given that the buffet is all-you-can-eat, the quaint little theatrette is an inviting place to collapse afterwards. It’s decked with red futon-style seats that visitors stretch out in, evoking a slumber party vibe. Govinda’s cinema screen beams a mix of mainstream flicks, arthouse releases and mystical curiosities that should satisfy everybody. Govinda’s restaurant opens Wednesday-Sunday from 5:45pm. Depending on the day, movies screen before and/or after the buffet. Dinner (excluding drinks and desserts) is $22.80 and movies are $17.90; movie/dinner package is $34.80. The Jewish International Film Festival (JIFF) is an annual three-week festival that curates the best range of Israeli and Jewish-themed films to premiere in Australia. If you’re interested in mining new veins for film, these run deep, as the festival’s director Eddie Tamir appreciates. He takes bingeing to a new level by searching the globe for hundreds of films that depict the world through the Jewish perspective. He shrinks the hundreds-long longlist to a 50-plus shortlist of films that win awards and audiences. Whether you find yourself laughing or dabbing your eyes, there’s no denying that this storied festival is a life-affirming experience unlike anything you can find elsewhere. 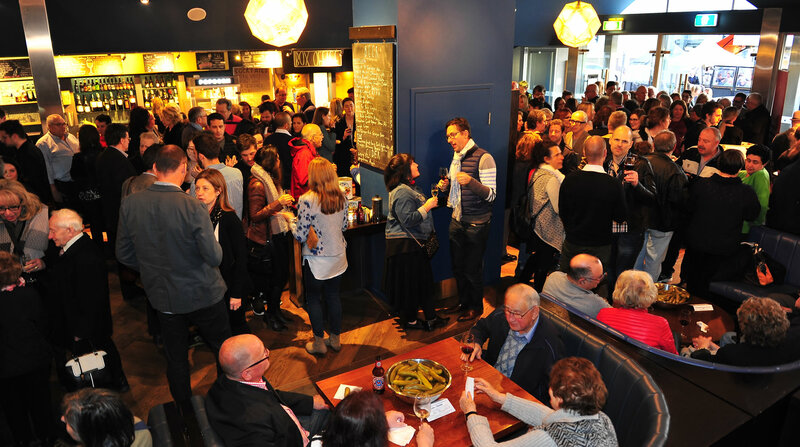 JIFF is on at Event Cinemas, Bondi Junction, October 26 (opening night)-Nov 22. It’s also on at Hayden Orpheum, Cremorne, November 11-22. Remember when the drive-in was THE place to be? 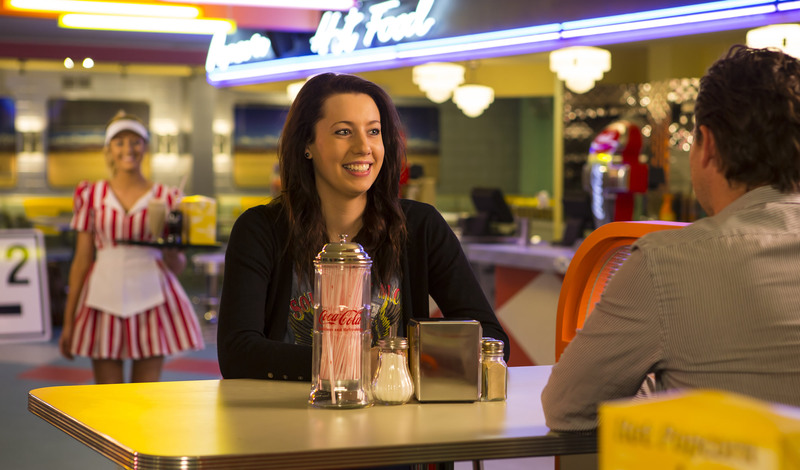 And when the diner was lit with checkered tiles and pinball machines? And the gum-chewing wait staff arrived at your car window with trays stacked with milk shakes, hot dogs and french fries? But you don’t have to when you roll into Skyline Drive In, because the nostalgia factor is dialled up to 11. For about 50 years, Skyline (formerly known as Blackrtown Drive In) has been drawing couples, kids and families to the car park to tune into movies through their windshields. Drive Ins fell a little out of favour as VHS took off but what was an antiquated past time is now a highly novel retro experience. At Skyline, popcorn, hot dogs, soft drinks, fairy floss, dipped ice-creams and everything else you relished when you were eight are in ample supply. But the cartoonishly 50s-style diner puts on lots of other fun fare too – be it mozzarella sticks, buffalo chicken pizza or giant pickles. Skyline hosts popular single or double features at cheap rates and, if it gets a little stuffy in the front seat, you can disembark from your vehicle, plonk into a BYO deckchair and enjoy the open-air ambience.